For a more traditional look the standard pinch pleat heading is ideal. This is a very popular choice as it compliments most rooms in the home. The standard pleat is usually on a 12.5cm heading – a classic heading that can give a more formed look than the pencil pleat. The arrangement of three pleats ‘pinched’ together into one fanlike flute with a smooth, flat spacing between creates elegant folds in a curtain making it hang neatly. This heading is tailored to fit the width of your track or pole. We allow a little extra width for ease and spring back so careful measuring is vital. If you’re looking for something a little more formal then perhaps opt for the pencil pleat which gives a more distinguished look. 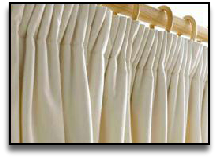 The pencil pleat usually comes in a standard 10 cm heading and when gathered delivers a row of fluted pleats. 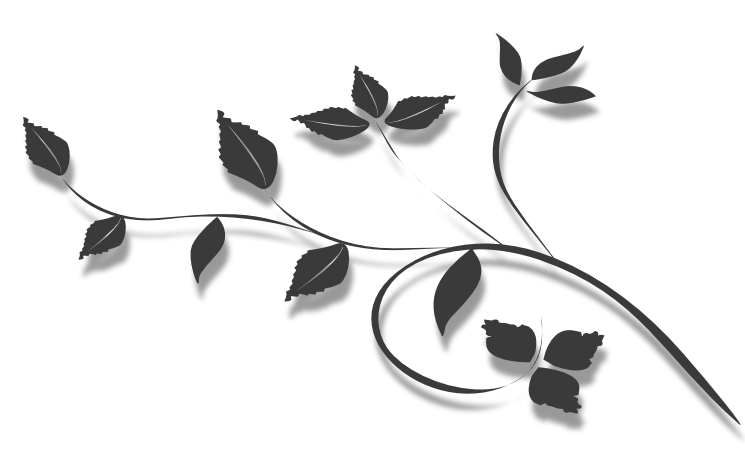 It is a classic, versatile heading that is suitable for most types of room. To minimise creasing during its journey to your home, we send our pencil pleat curtain un-gathered. You then have full control to gather it to the required size. For the more technically minded, the fullness of this curtain is calculated at 2.0 times the track width to give a fuller effect. Choose the eyelet heading for a more contemporary, casual feel. Eyelets are available in either 2 cm or 4 cm. This refers to the diameter of the ‘hole’ in the eyelet ring. Available colours are: black, gold or satirised (slightly matt) silver. This is a clean, elegant and contemporary look; for best effects team with a metal pole. 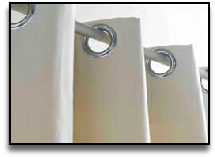 Tab tops are used with curtain poles rather than tracks. Tap tops have become increasingly popular in recent years – this is a less formal look. The usual width of each tab is approximately 6 cm. This means that on wide poles there will be quite a lot of space take up when the curtain is pulled open (known as ‘stack back’). You may want to consider this if you are looking for a maximum light effect curtain. 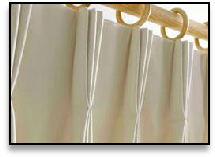 The fullness of these curtains is measured at 1.5 times the pole width, giving a curtain of moderate fullness. If you are considering this curtain but are concerned about stack back, please contact us, giving us your pole width and we can provide you with an approximate stack back.